Serena’s Art Factory and the adjoining Art and Souvenir Shop are located near the CurAloë Plantation and the Ostrich Farm on the serene and beautiful east side of Curaçao. Visitors can tour the Factory and Shop, free of charge, and see how Serena’s amazing souvenirs and sculptures are made. Serena’s Art Factory is a registered concept and company. It is also the place where Serena professionally restores sculptures in plaster and stone for churches, museums, individuals and firms. 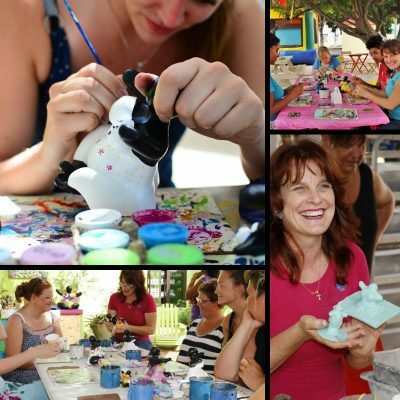 The tropical garden surrounding Serena’s Art Factory is used for lively open air workshops for individuals and groups, who enjoy painting Serena’s sculptures and souvenirs themselves. The Chichi® sculptures and other Caribbean figurines are polished, finalized and transported to the homes over fifty local painters. 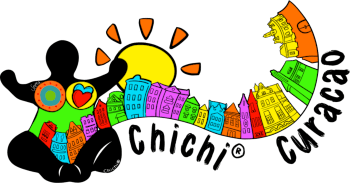 Here the Chichi® sculptures come to life, when they are painted in 25 beautiful Caribbean colors, by a team of talented, local women, trained by Serena herself. Each woman paints the Chichi® sculptures and other souvenirs in her own colorful style, but follows specific directives to guarantee a certain product consistency. Many women have developed their skills to such an extent, that Serena’s Art Factory is frequently approached by clients for custom made assignments and special requests. Serena’s Art Factory radiates artistic energy and possesses an atmosphere of inspired multicultural cooperation. Working with a close and committed team, Serena’s Chichi® sculptures and other souvenirs blend German craftsmanship with Caribbean colors and art and carry the passion and spirit of all those who help to create them. We have added some new workshops to our website! We can now offer the private and a special ‘Meet and Greet Serena workshop’.